Create Better Bindings — Missouri Star Quilt Co.
You're in for a big adventure! 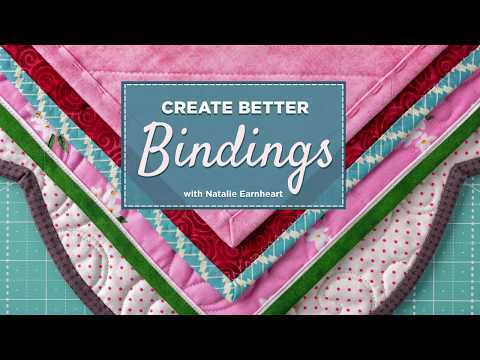 In this in-depth, online video class, Natalie Earnheart shares her expert tips for binding your quilts in style. Start at square one as she teaches you how to measure your quilt and calculate yardage needed for binding. Then, learn everything from basic and bias binding, to flanged and fancy scalloped binding. With this class, you’ll receive free printable diagrams, instructions, and more. Plus, a team of dedicated experts will be available to answer your binding questions, right within the class video player. This class is ideal for all skill levels, and is a resource you’ll reference time and time again for binding with a professional finish every time. This online class will be available in Your Account after you complete your purchase. You will also receive an email with instructions on how to access your class.